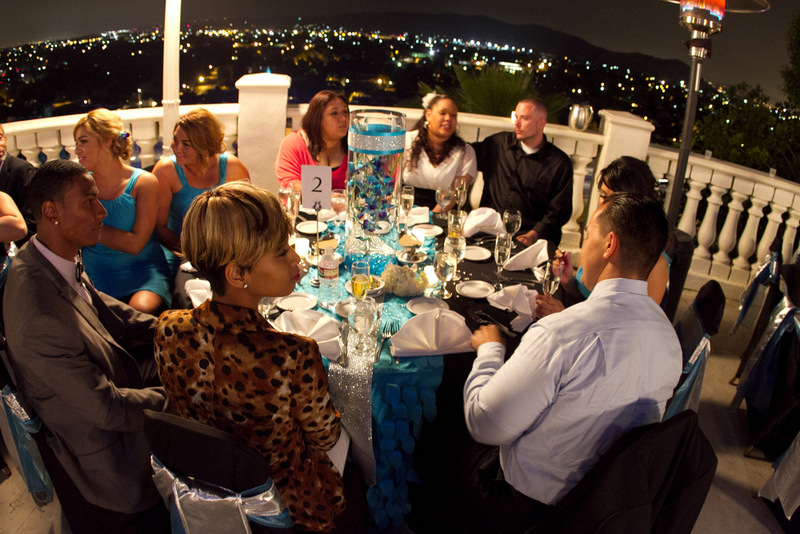 This hillside country club with its panoramic view was the perfect location for a spring time wedding. 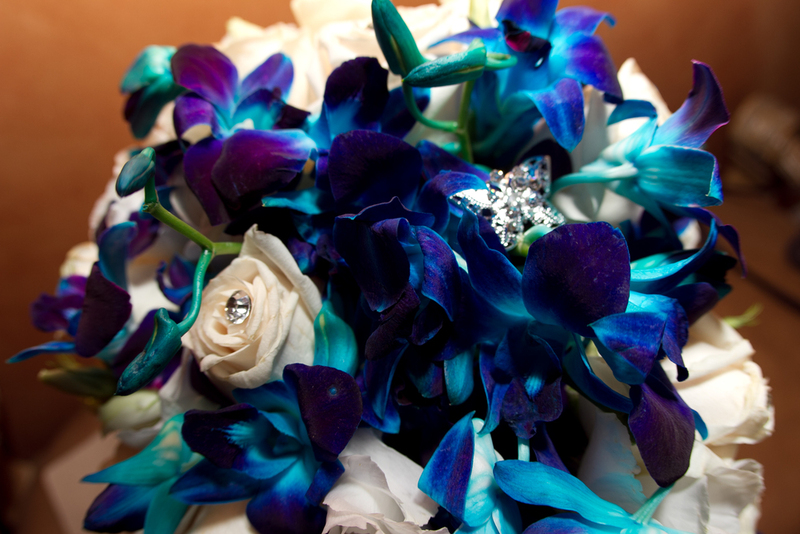 Shades of aqua and deep cobalt blue accented by crystals made a vision that was stunning when paired with black linens. We found an aqua fabric with loose dimensional leaves that moved with the breeze to give softness and elegance to the tables. 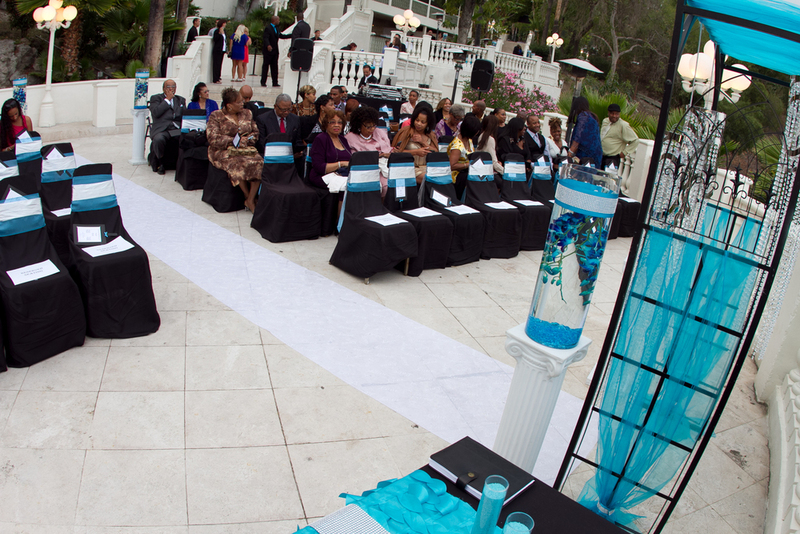 The guests chairs were covered in black and accented with aqua and silver bands. The Bride and Groom were under an arch wrapped in aqua chiffon and surrounded by crystal chandeliers. The arch was flanked by pillars holding glass vases filled with floating orchids and wrapped with aqua satin and crystal banding. A sand ceremony was the finishing touch to blend these two families together. The venue had 3 independent levels that were used for the various stages of the wedding. The wedding was held on the lower and largest level. After the ceremony, the guests retreated to uppermost level with open bar while the original ceremony location was converted to dining for the reception. 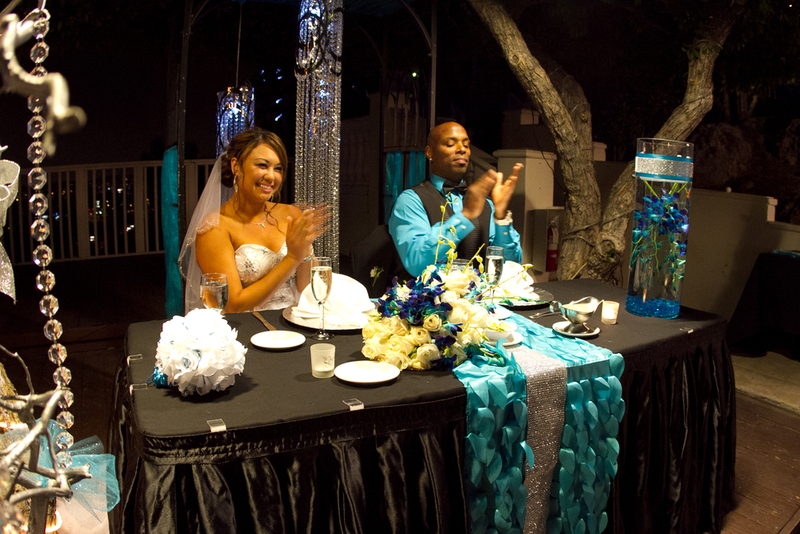 The same orchid filled vases along with the aqua fabric over black table cloths decorated the dinner tables and the same chairs from the ceremony were used. 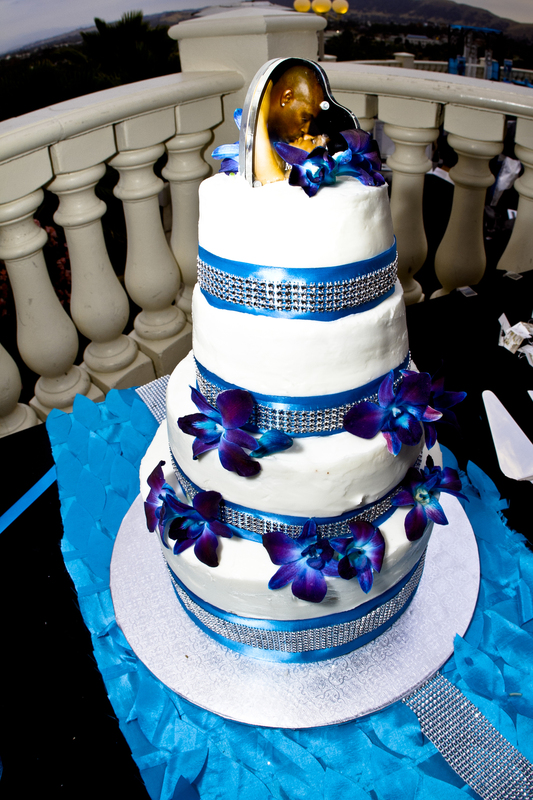 A third smaller level nestled between the two main ones showed off the wedding cake. Everything, combined with the night lights from the city below created a beautiful ambiance.